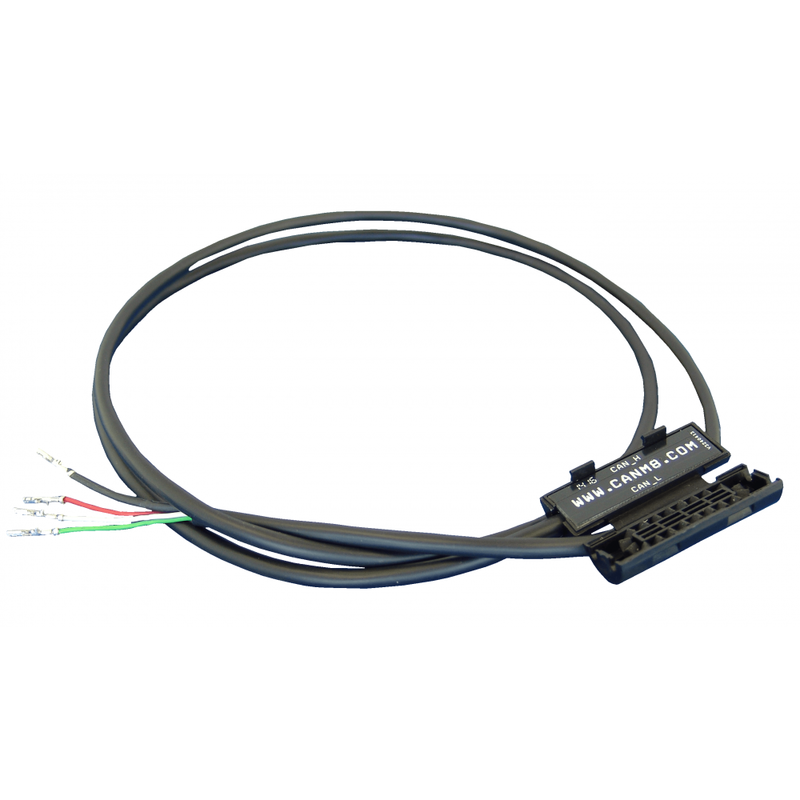 The Contact-less Reader option allows the CAN Bus interface to read vehicle CAN Bus data without any actual metal to metal connection between the interface and the vehicle CAN Bus. The reader is secured around a section of the vehicle CAN Bus wiring and data is read by an induction method, thus protecting any manufacturers warranty. This version of our Contact-less reader works on 5v and is directly compatibility with our CANNECT Rnage of Interfaces. If you are installing one of our CANNECT Products, and wish to purchase a contact-less reader to work with it, then this is the product for you. If you are using the contactless reader for anything else, other than connecting our interfaces, then please click here to purchase our 12-30v version which is compatible with most electronic devices. The readers feature a strong locking clamp to retain their position around the CAN wiring. 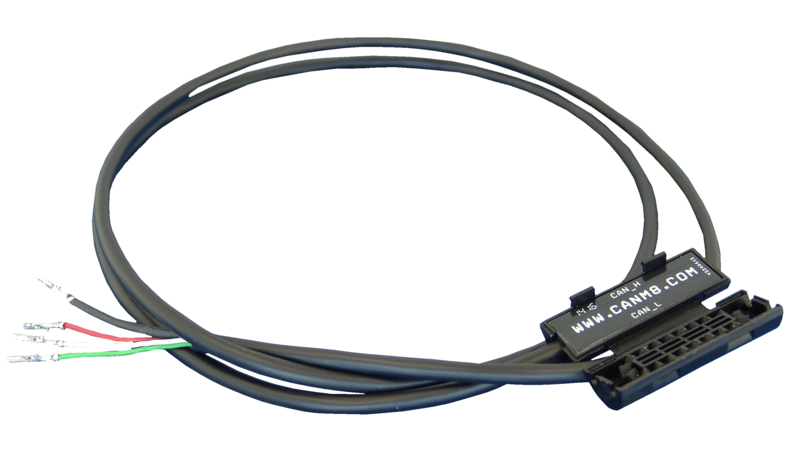 The CAN wiring must first be straightened for a short distance and the HI - LO wires identified and placed in to the corresponding channels of the reader before the reader housing can be closed over the wiring. Utilising the contact-less reader with the CANM8-CANNECT is easy. 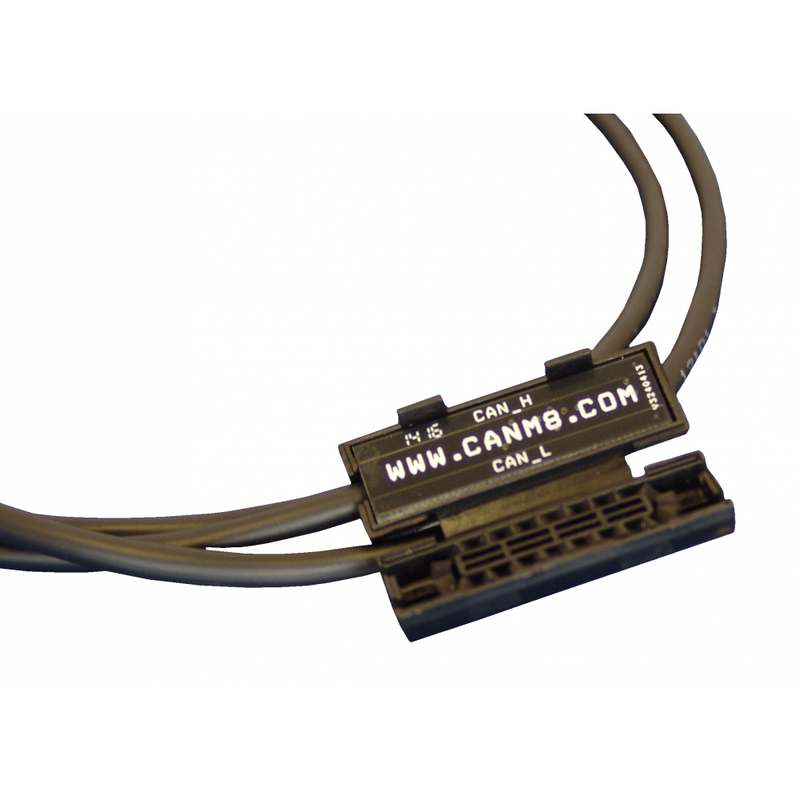 Most of the CANM8-CANNECT product range are directly compatible with the contact-less readers. A 5v power connection is provided in the CANNECT interface harness connector that is designed to power the reader and the readers are supplied with pre-terminated wires. 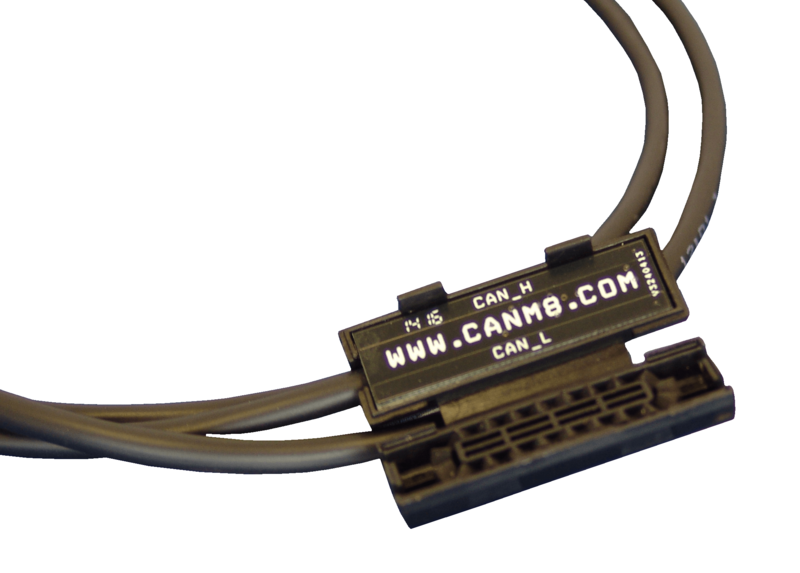 Simply remove the CAN HI and LO connection wires from the CANNECT interface harness and fit the HI and LO connection wires from the reader in to the same connector positions. Click in the reader power wires in to the corresponding powering positions and the interface is ready to install to the vehicle. The Bi-colour LED at the base of the CANNECT interface confirms CAN data reception. The CONTACTLESS READER comes with an induction pad that clips over the CAN Bus wires. If you straighten out a small section of the CAN Bus wires and then fit tie straps round the clamp, that will ensure a solid connection. For best results, connect the contact-less reader as close to an ECU as possible in order to maximise the strength of the CAN Bus signal.